This Hyundai Tucson has a strong Regular Unleaded I-4 2.0 L/122 engine powering this Automatic transmission. SE POPULAR PACKAGE 02 -inc: Option Group 02, Transmission: 6-Speed Auto w/SHIFTRONIC, drive mode select, LED Headlight Accents (Positioning Lights), Driver Power Window w/Auto Up/Down, Fog Lamps, Dual Illuminated Vanity Mirrors, Front Seats w/Power Driver's Seat, 8-way power driver's seat w/power lumbar support, height adjustment and adjustable head restraints, Premium Side Sills, metallic painted, LED Daytime Running Lights, Illuminated Glove Box, Roof Rack Side Rails, MUDGUARDS, FIRST AID KIT, CARPETED FLOOR MATS, CARIBBEAN BLUE. Carfax One-Owner Vehicle. CARGO COVER, BLACK, YES ESSENTIALS CLOTH SEAT TRIM -inc: odor resistant cloth, YES Essentials Cloth Seat Trim -inc: odor resistant cloth, Wheels: 17" Alloy, Vinyl Door Trim Insert, Variable Intermittent Wipers w/Heated Wiper Park, Urethane Gear Shift Knob, Trip computer, Transmission: 6-Speed Automatic w/SHIFTRONIC, Tires: P225/60R17, Tire Specific Low Tire Pressure Warning, Tailgate/Rear Door Lock Included w/Power Door Locks, Strut Front Suspension w/Coil Springs, Streaming Audio, Steel Spare Wheel. IIHS Top Safety Pick. KBB.com 10 Best SUVs Under $25,000. KBB.com 10 Most Awarded Brands. 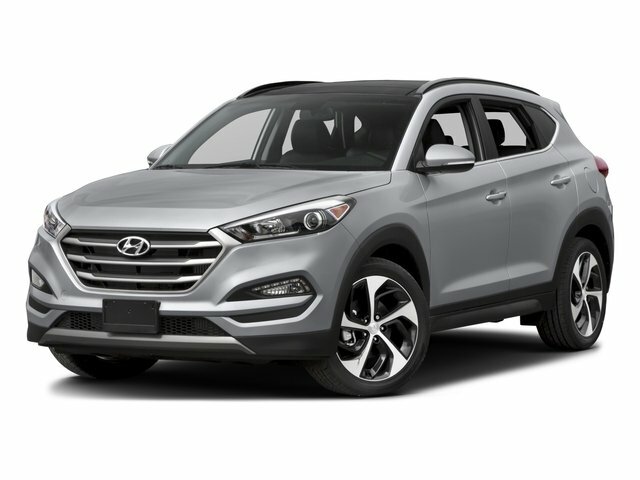 For a must-own Hyundai Tucson come see us at Mitchell Hyundai, 1600 East Park Avenue, Enterprise, AL 36330. Just minutes away!